Welcome to The Light Side of SXSW. Where every band and every room is an experience on the lighter side of things. Gravity rooms, outrageous contraptions, themed cocktails, and delicious Maltesers complement a full-lineup of upbeat and up-and-coming artists. 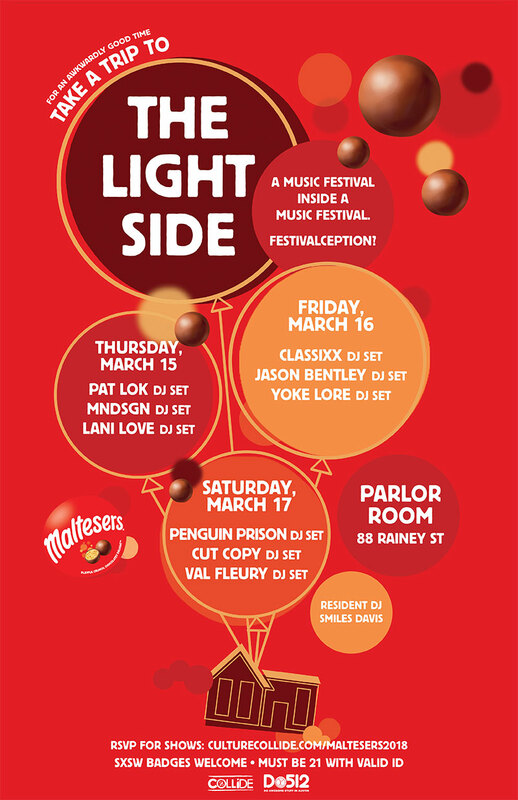 Look on The Light Side all weekend with Maltesers.